Time was starting to pass in blur, suddenly it was week two and we were on to conflict resolution, guest dinners and watching Bologna go crazy as they defeated Germany in the soccer. Oh and the Summer sales were about start…it was time to give the debit card a REAL work out. We heard from amazing speakers…including Betty Bigombe who is one of the few women to meet Joseph Kony and come out alive. We also got a few complimentary dinners from IPSI and sampled some excellent food. Me and Gareth…bonding over our hate mutual hate for overly enthusiastic Model UN kids! However, the night before this had been crazy too. 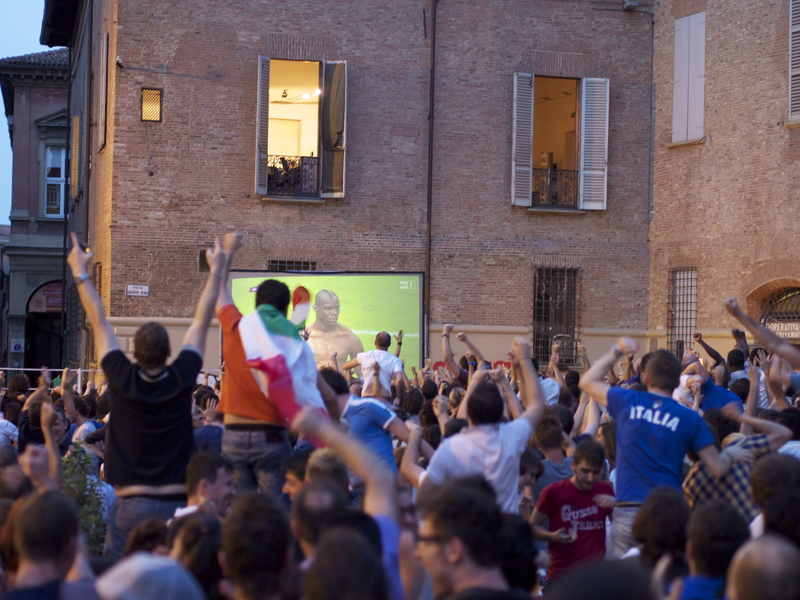 Italy was playing Germany in the Soccer. Now I am not usually a soccer fan, not at all, but something about how the Europeans get into make it much more bearable. We watched the game at an Irish pub and watched the crowd go wild as they defeated Germany and made their way into the final. 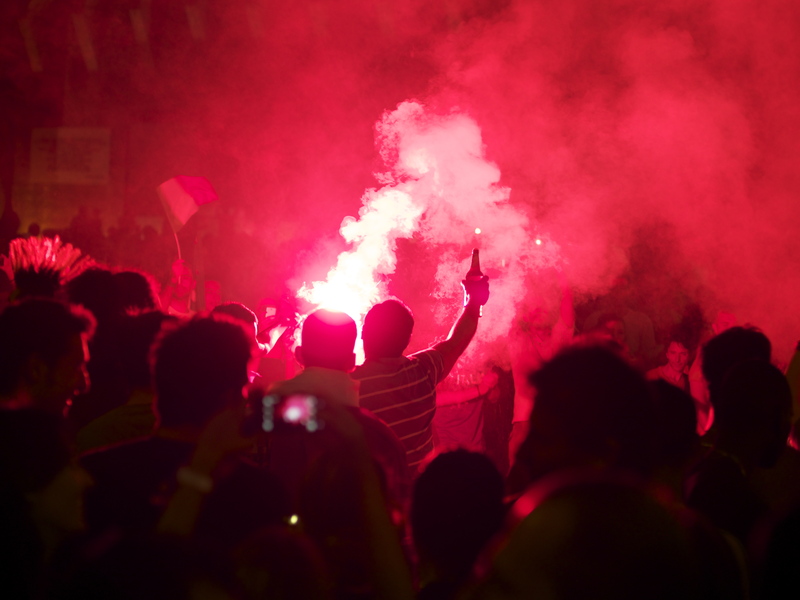 Almost every person in Bologna was out on the streets celebrating. 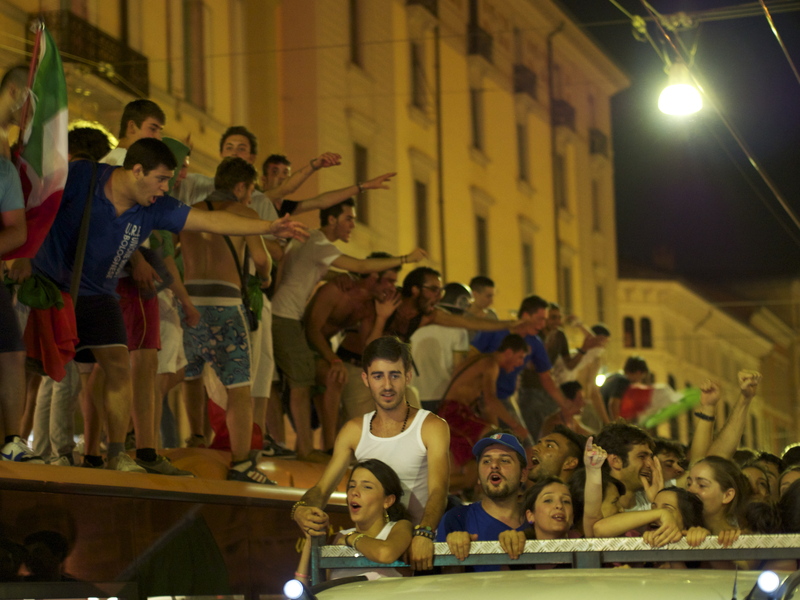 People climbed on top of busses, traffic came to a halt except for the trucks and motor bikes struggling through the crowd waving Italian flags. It was like a happy riot had erupted and one could only assume that the police were joining in the celebrations as no one was attempting to break them up. Again, everything was going too smoothly for old Brigid. Sunday of our second weekend a crew of peace nerds got up early and headed for Ravenna. 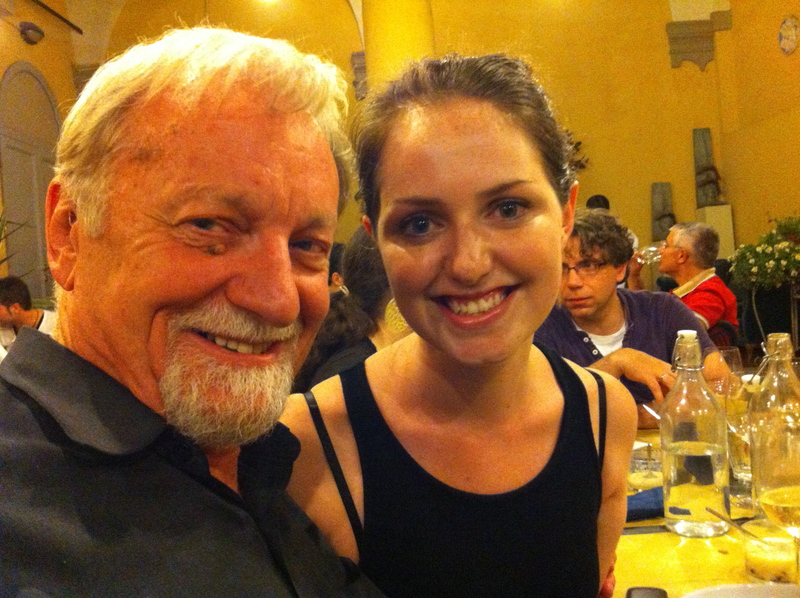 This trip was departing way to early for me…so I opted for a lazy sunday in Bologna instead. I was rather enjoying my lazy Sunday, I wandered through the ancient city centre and decided to pop in Eataly for a scrummy lunch. Little did I know I had sealed my fate for what would become my second epic food fail of this trip! 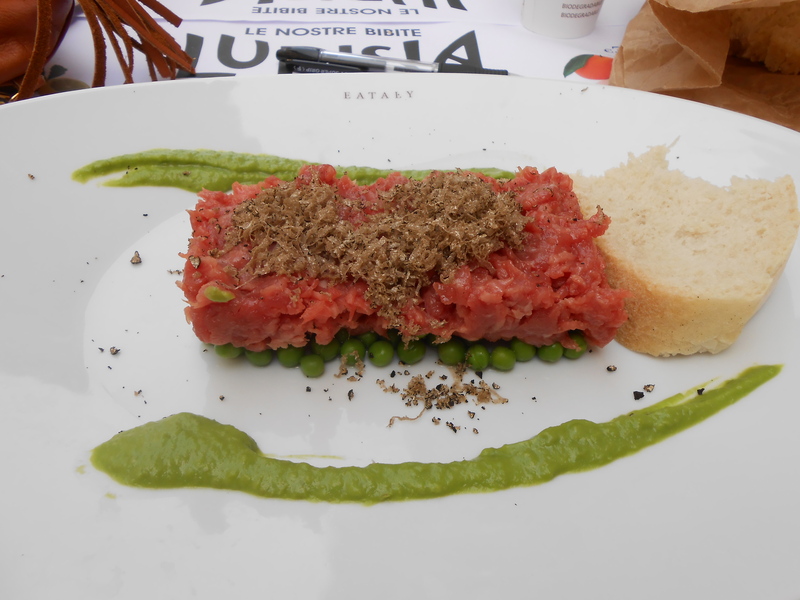 It looked a lot like raw meat, minced and placed on a bed of peas…but…I thought that perhaps it was really minced salami or proscuitto or something else?? maybe? So I ate it, all of it…and when I was able to distract myself enough from the fact that it most likely was raw meat…it was actually quite good! However, the biggest lesson learned here is that crudo does not mean proscuitto…it means raw!! Capiche brigid?